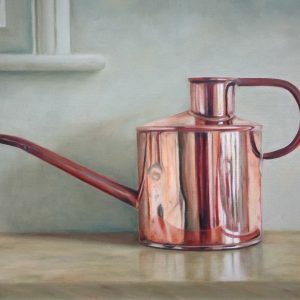 Henrietta Lawson Johnston is a professional artist living in North Oxfordshire. After studying History of Art at university, she decided her first love was painting and spent some time training at the Atelier Canova in Rome where she chose oils as her medium. 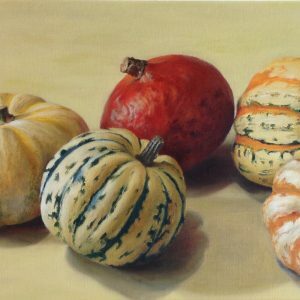 Henrietta draws inspiration from her love of nature and the fascinating scope of still life, whether it be a simple object or the beauty found in ripe fruit. 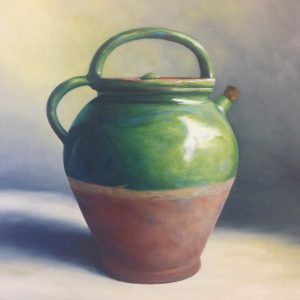 Her work is classical in style and her choice of light and tone calm in quality. 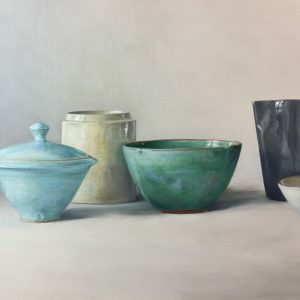 She chooses to matt varnish her work, so that, while drawing on centuries of tradition in oil painting, the finished piece has a contemporary feel, enabling her work to sit well in any interior setting. Henrietta also works on commission.